If your air conditioner is damaged, please don’t try the DIY strategy. To be on the save side and avoid any potential negative eventualities, contact a professional AC repair company in Glendale to address the issue. 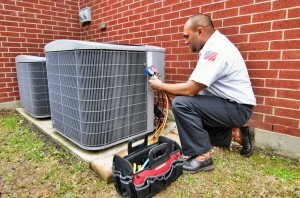 When your air conditioner or the system ceases to function or malfunctions, you can’t pinpoint the problem without proper and professional diagnosis. The reason it is malfunctioning might be because of a bigger more potent underlying problem and by DIY, you only identify the face problem and allow the underlying problem the time required to continues eating up you air conditioner. To avoid all these, simply contact a repair company. One of the companies you can rely on for quality and professional AC repair services in Glendale is American Cool and Heat Inc. the company has been in the industry of over ten years now and has the experienced required diagnosing and repairing almost any problem in an air conditioner. The technical team of the company is well trained on the major brands in the industry therefore; they can handle any air regardless of the brand name. The company handles both residential and commercial repair services therefore, if you are seeking to repair your home based AC, you are covered. The company has a thorough code of ethic for every employee of the company to observe during and when on duty. Given the firm code of ethic, you can trust the employees of the company to work in your property with the professionalism required. To ensure delivery of quality and credible AC repair services, the company has state of the art equipments that are required for the job. So, look no further for AC repair services in Glendale, American Cool and Heat is at your services!